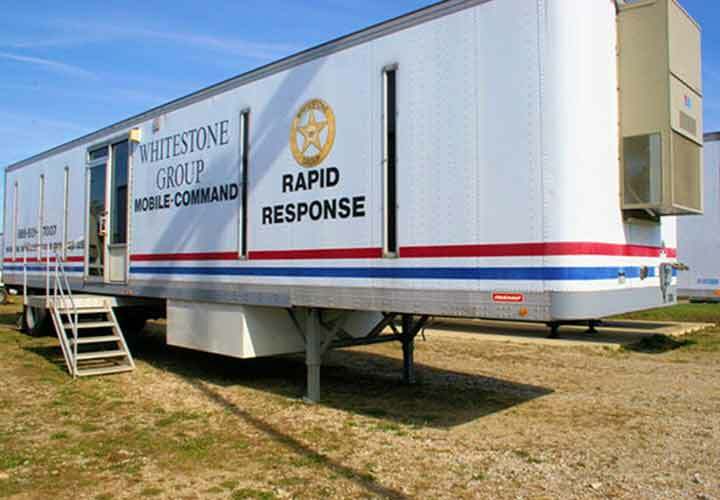 Should a natural disaster or political upheaval threaten an area, The Whitestone Group’s Rapid Response Teams are able to deploy Force Protection, Personal Protection, and MIS crisis/continuity management agents. In 2005, The Whitestone Group was noted for their exceptional service in New Orleans in the aftermath of Hurricane Katrina. If you have government or company facilities that are vulnerable to hurricanes, rainstorm flooding, tornados, or earthquakes, The Whitestone Group is prepared to assist you with your crisis mitigation plan. The Whitestone Group’s Rapid Response Team can assist you with transferring your MIS systems into our mobile IT room and coming back online for business. The Whitestone Group maintains an investigative branch within the Personal Protective Services Group called Protective Intelligence Services. This branch collects real-time data and employs pre-emptive intervention skills in support of specific personal protection contracts. This group focuses on using behavioral psychology and predictive pattern profiling to develop proactive protective measures that will thwart any potential threats made directly against a client. 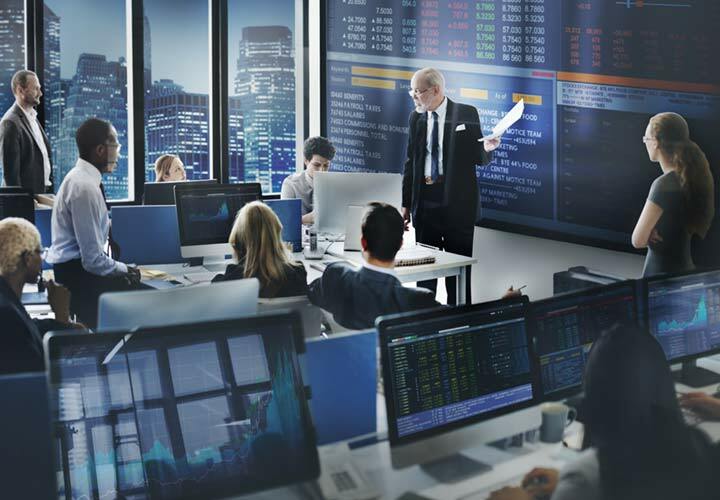 The Global Threat Assessment team is capable of evaluating and projecting future outcomes. The Whitestone Group has provided dignitary protection, corporate executive protection and celebrity protection details for both domestic and foreign representatives. At the Whitestone Group, we are experienced protective agents who come from military, local, state and federal law enforcement backgrounds and who have been specifically trained as personal protection agents from an accredited school. Regardless of the agent’s background, agents are also screened for their experience in a specific venue whether it be dignitary, corporate or celebrity. Once the agent has passed all preconditions for employment, they are vetted with a due diligence check to ensure that each agent will perform his or her duties in a professional and discrete manner. Our agents are trained in incident-avoidance, surveillance detection, human intelligence collection, protective intelligence modeling. cyber and physical advance work, command post operations, protective formations, tactical driving, motorcades, close quarter combat with small arms, intermediate weapons, improvised weapons, empty hands techniques and first aid. Each agent we deploy has received extensive training from an accredited school in the operational security protocols and culture of the specific service contract. If your personal protection planning does not include the use of traveling agents, The Whitestone Group maintains a roster of prescreened professional associates in most domestic cities and many cities in other countries. If your business plans include travel to several cities, The Whitestone Group will arrange ground personal protection support for each leg of your itinerary. The Whitestone Group is confident that we can provide the highest standard of protection in a seamless and efficient manner. The State Department’s Bureau of Diplomatic Security has developed rigorous standards (called the World Wide Personal Protective Services – WPPS program) that private security companies must meet in order to compete effectively and win awards. 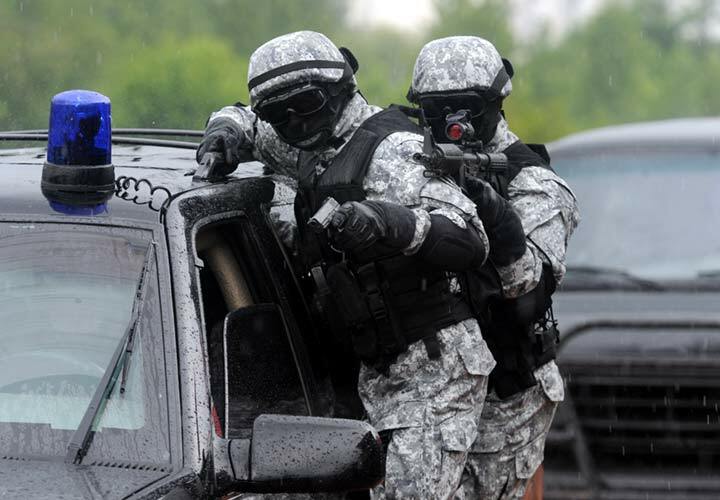 This program establishes the highest standard for contracting and posting private security firms in Bosnia, Iraq and Afghanistan for two major functions: (1) static guard services that protect their facilities (Force Protection) and (2) personal security details (PSD) and security escorts (Convoys Protection). To work in State Department missions, an operative must pass a selective personnel screening process that includes a rigorous training program and standards vetting process that include physical and psychological fitness, previous experience, skills proficiency, integrity, and the ability to obtain a security clearance. The Whitestone Group has adopted equivalent standards for all operatives who are posted in high risk theaters whether our client is a branch of government or from the private sector. We provide experienced Tier One (military or police Special Operations Group backgrounds) operatives for PSD and Convoy Protection details. We use both Tier One and Tier Two (conventional military and police backgrounds) operatives for force protection operations. These operatives are trained and experienced in providing protection in high-risk areas utilizing military tactics as well as protective services tactics. As with our personal protection agents, we hire experienced operatives who come from military, local, state and federal law enforcement backgrounds and who have been specifically trained in personal protection, NATO-based small unit CQB tactics, and force protection protocols. Regardless of background, agents are also screened for their abilities to perform Tier One and Tier Two deployments. Once the agent has passed all preconditions for employment, they are vetted with a due diligence check to ensure that each agent will perform his or her duties in a professional and discrete manner. The Whitestone Group maintains a roster of prescreened international high risk operatives who possess a variety of regional geographic and cultural knowledge as well as various language skills. Once a team of operatives has been chosen to perform a specific contract, they are tested for (1) Physical condition, (2) Contract-specific protocols and tactics and (3) Proficiency in the specific skills they possess (area knowledge, languages, paramedic, intelligence services, CRBN/EOD, K-9, convoy/motorcade driver, small arms and crew-served weapons), before being deployed. If you are looking to provide an extra level of protection for yourself, your family, your client or your assets, then consider using armored vehicle protection and transport services from The Whitestone Group. 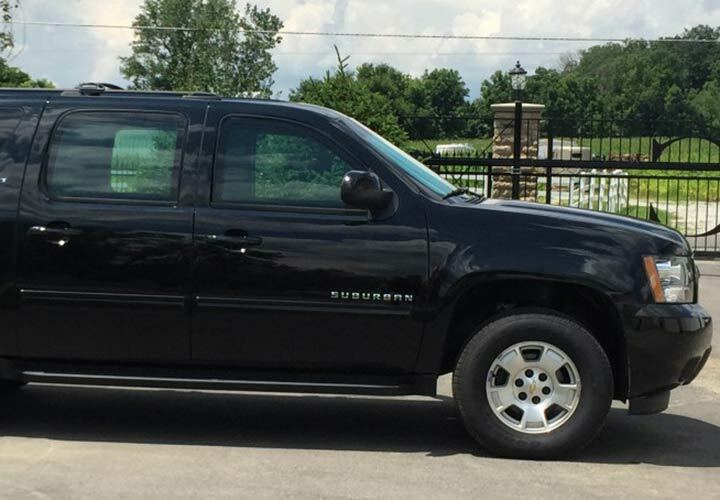 We are now pleased to offer armored SUV services to our portfolio of security products to those clients desiring premium security protection and safety. 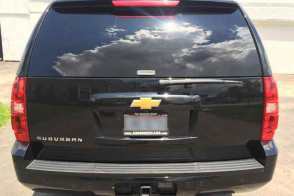 Our fleet of new fully armored Chevrolet Suburbans were designed to place the safety of the occupants above all else while meeting or exceeding all Federal Motor Vehicle Safety Standards. Our fleet of SUVs can be operated by your own security team or augmented by our team of highly trained security and risk management drivers and/or Personal Security Detail (PSD) personnel. Using Whitestone’s personnel and vehicles provide a flexible, low profile security service when and where they are needed most that can help disarm and prevent potential criminal, terrorist and kidnapping threats. Our fully equipped SUVs were manufactured to withstand small arm rounds up to and including 7.62 x 51mm (M80) rounds. They have been built and certified to American Welding Society (AWS) specifications. 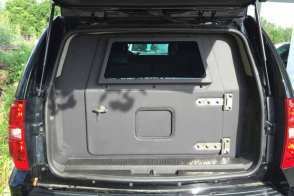 Larger ballistic panels were used in the design and all pieces were engineered to fit specific tolerances with added protection incorporated for critical threat points. All ballistic materials were purchased from qualified Tier 1, Department of State approved vendors. In addition to the many safety features, our SUVs were also designed for the comfort of the occupants in mind. 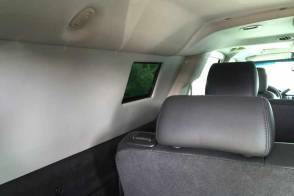 They are equipped with interior leather seating; deluxe overhead console; 3rd row DVD screen; deep tinted glass; power locks, windows and seats; tri-zone auto air conditioning; premium ride suspension; power sliding sunroof; Bose premium sound system; and, power lift gate to name just a few of the features. For more information about these services and for pricing details, please contact us.